This is the third post in my Best Bites of Italy series, a round-up of the best eats during my 2 week trip through Rome, Venice, Florence and Cinque Terre. Other good eats include Renato e Luisa, and La Pizza del Teatro in Rome. 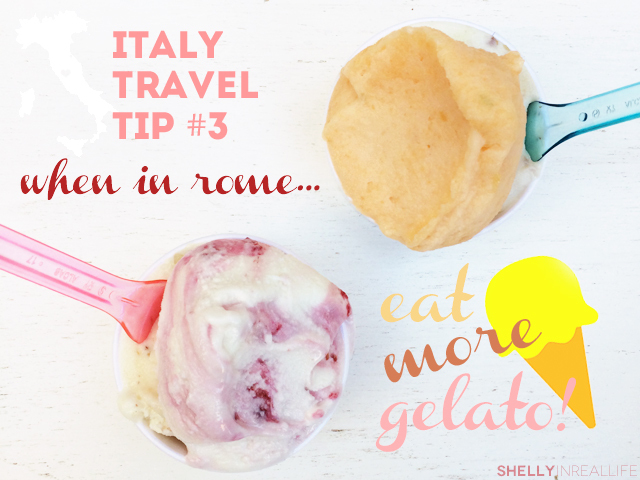 It's impossible to travel to Italy and not develop a serious gelato addiction. I normally don't crave sweets, but there's something about the soft creamy texture and rich flavors of gelato that got me hooked. In the first week that we were in Italy, I found myself asking J to make gelato stops at least 3 times a day. I had to have my fix!! J, the one with the biggest sweet tooth in the world, happily obliged to my requests every few hours in between our site-seeing. 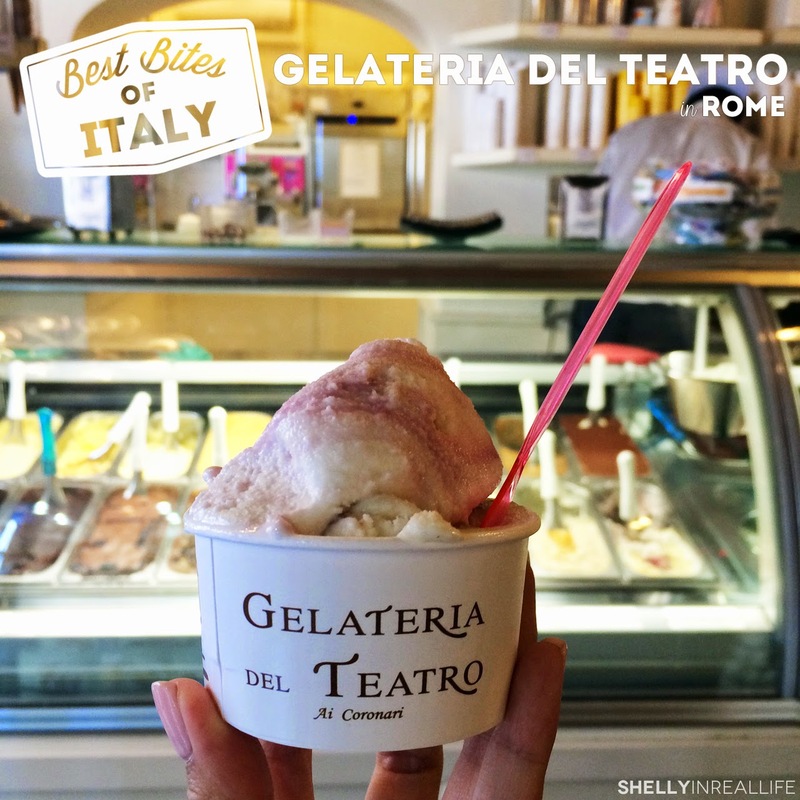 During the food tour we went on with Sophia, we passed by Gelateria del Teatro on our way to the delicious Pizza del Teatro without grabbing a scoop gelato. She told us that this was one of the most popular places for gelato in Rome, so we made it a point to have some the next time we went to get Pizza del Teatro. 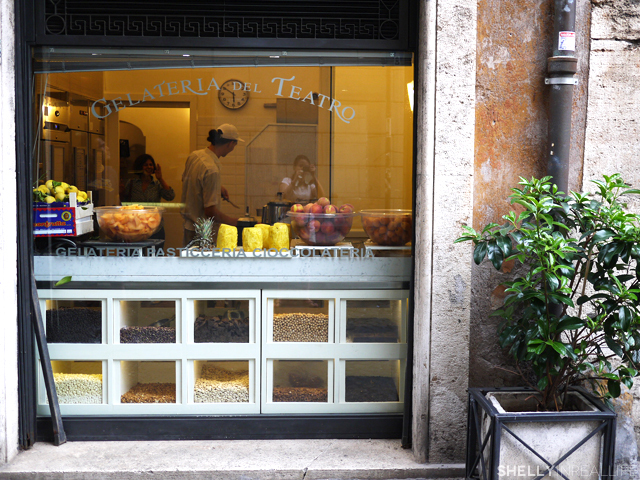 La Gelateria del Teatro prides themselves in their fresh house-made gelato and it shows in their open kitchen concept. If you are lucky, you can get a glimpse of the artisans working in the back - cutting up the fresh fruits of the season for some yummy fruit based gelatos. 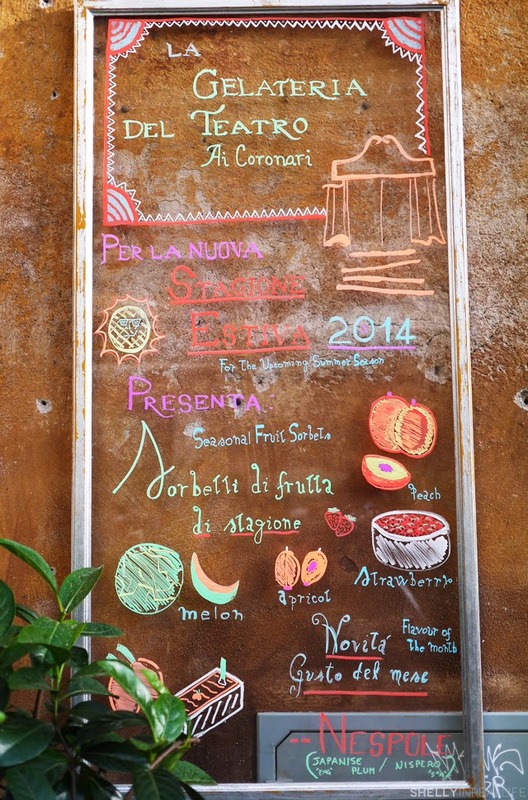 Don't forget to check out the painted sign out front to see the seasonal fruits. Teatro is also the home to the most perfect scoop of gelato I had through my 2 weeks in Italy: the amazing Almond Cheese & Fig gelato. 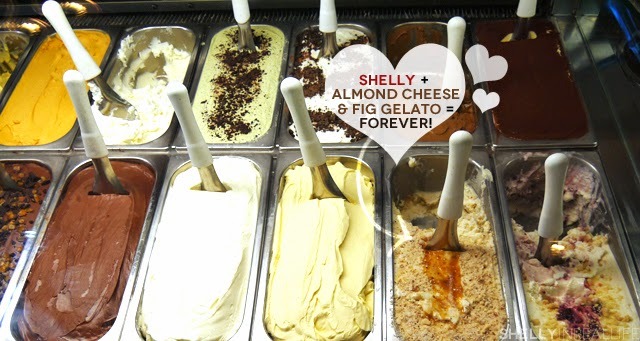 As a fan of cream-based gelato, this Almond Cheese scoop had the perfect balance of richness and sweetness - creamy without being overwhelming. The addition of the fig helped to add some tartness and just another layer of flavor to each bite. It was just the perfection. I loved it so much that I had to get another scoop the next day!